Born in 1953 in Richmond, Indiana, USA. Hamilton began playing drums as a child and while in his early teens was a member of a trio playing at local clubs. 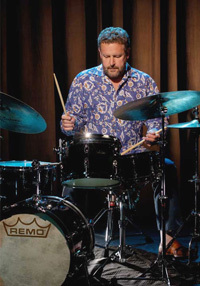 He later studied percussion at Indiana University, where his fellow students included Peter Erskine and John Clayton. Hamilton’s interest in jazz developed and he extended his studies to take tuition from John Von Ohlen. 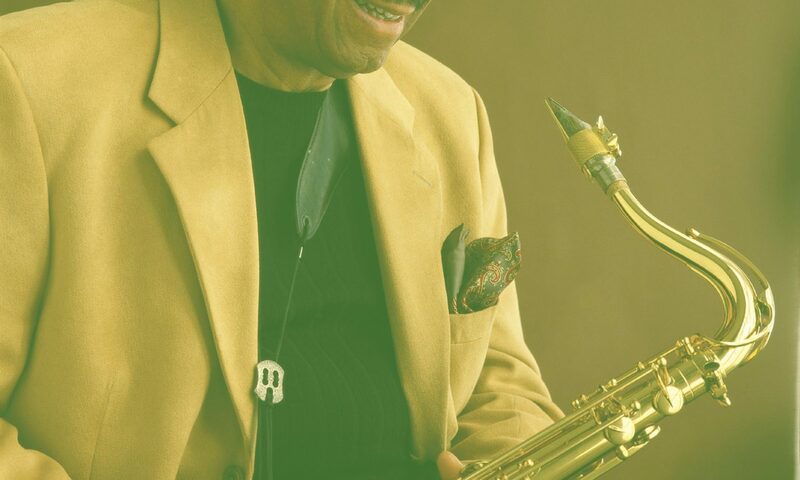 In 1974, on Clayton’s recommendation, Hamilton was hired to play in the Tommy Dorsey Orchestra under the leadership of Murray McEachern. His next job was a brief stint with Lionel Hampton during 1975 and he then worked with Clayton as a member of the Monty Alexander trio. Two years later he left to play with Woody Herman. In 1978 he joined the L.A. 4 with Ray Brown, Laurindo Almeida and Bud Shank as a replacement for Shelly Manne. In 1985, Jeff joined bassist John Clayton and his brother, saxophonist Jeff Clayton to form the Clayton-Hamilton Jazz Orchestra. Together with an all-star lineup of Los Angeles-based musicians, the big band received an enthusiastic response from reviewers and fans. It’s first recording, Groove Shop (Capri), was named by CD Review as one of the best recordings of 1990. It also earned a Grammy Award nomination. Jeff received rave reviews for his dynamic drumming on Heart and Soul (Capri). David Badham of Jazz Journal International stated in his review: “This is one of the finest modern big band issues I’ve heard… This is undoubtedly due to Jeff Hamilton, a most driving and technically accomplished drummer.” Other releases include Absolutely! (1993, Lake Street Records), Explosive! featuring Milt Jackson (1998, Qwest) and Shout Me Out! (2000, Fable/Lightyear). From 1999-2001, the Clayton-Hamilton Jazz Orchestra was named the in-residence ensemble for the Hollywood Bowl Jazz series. Jeff has also worked/recorded with Clark Terry, Gene Harris, Monty Alexander, Milt Jackson, The Philip Morris Superband, the Ray Brown Trio, and singers of the level of Diana Krall, Natalie Cole, Stacey Kent, Rosemary Clooney, Barbra Streisand, Ernestine Anderson and Mel Torme. An outstanding drummer with the finesse and subtlety demanded of a small group player and the powerful swing needed for a big band, Hamilton is one of the most gifted of the younger generation of American mainstream jazz drummers.